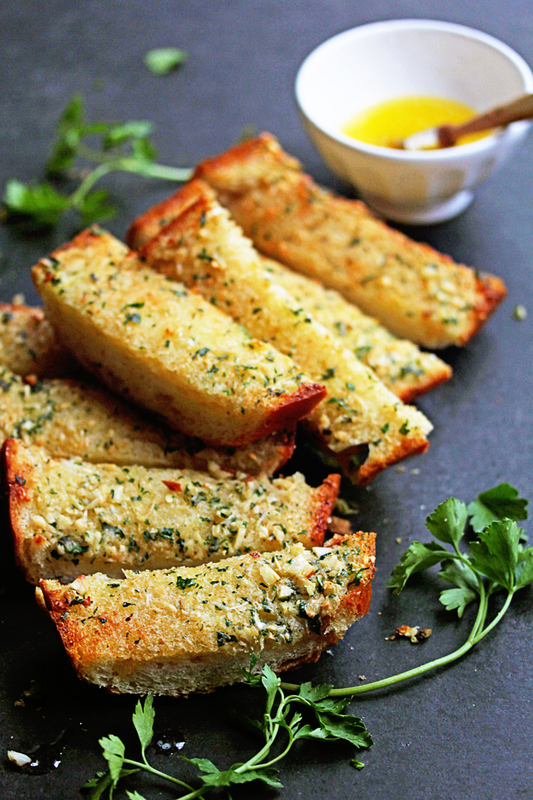 This delicious garlic bread recipe is the perfect match for any meal! Cut bread roll in half lengthwise. In a medium sized bowl, whisk together butter, minced garlic, garlic powder, parsley, olive oil and parmesan cheese until well combined. Liberally spread garlic butter mixture on each half of bread. Bake bread for 10-14 minutes or until bread is crisp and top is golden brown. Tip: If you want to brown the top even more, turn your broiler on for 1-2 minutes but watch carefully so your bread doesn't burn!! Cut bread into slices and serve.